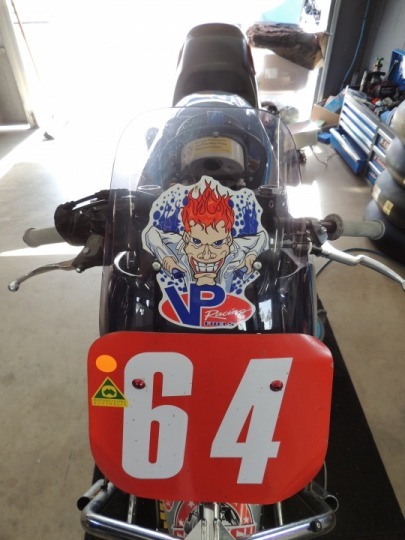 Ralphie Hudson is the fastest man in the world on a sit-on motorcycle (two way average of 297 mph) but he is also an enthusiastic road racer when time allows. 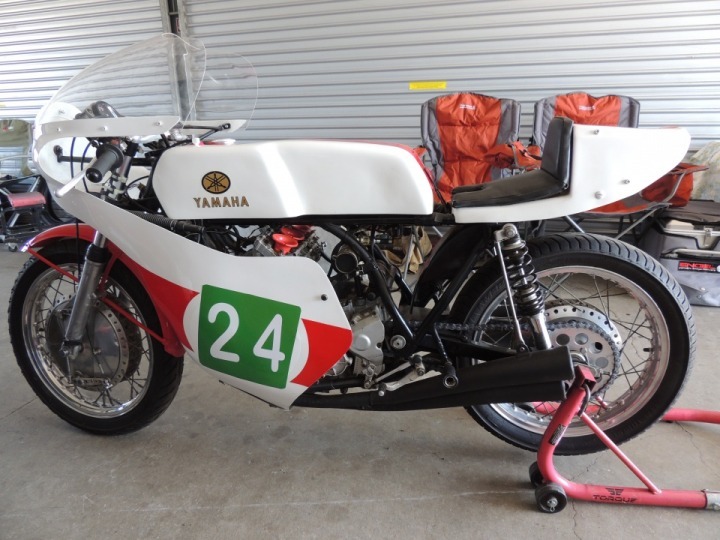 This year he brought his CMR-framed Yamaha for Jason Pridmore to ride and it didn’t quite go according to plan a detailed yesterday. He didn’t bring his TD2 to race because he simply ran out of time to do the prep, so he was “on the spanners” all weekend as well as doing his domestic duties. 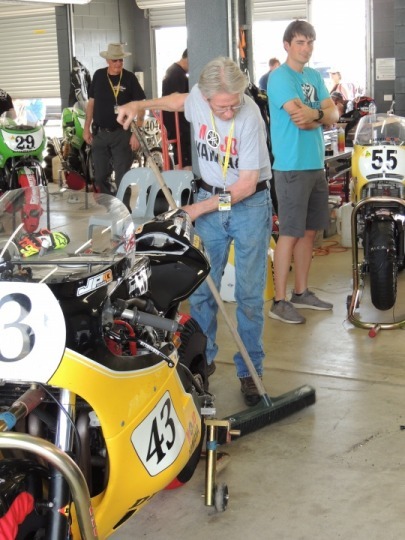 Hey, he may well be the world’s fastest motorcyclist, but someone has to keep the pit garage clean! They do things that way in Texas. It was great to see the Texas gang back in town on the weekend. Missing from this pic is the 4th member, David Hirsch. “Don’t mess with Texas” is their motto and they mean it. Otter is slowly recovering from his road accident a few years ago but still only has a bit less than 90 degrees movement in his right knee. They are talking a total knee replacement in a few months time. Regardless, he is looking well and it was great to chew the fat with him. We were talking about my visit to his place in 2015 and I remarked that I had had to wait at the railway level crossing near his house in Argyle, Texas while a goods train went by. It had 109 carriages and it seemed like I had to wait forever. “Yeah,” he remarked, “They usually take about 12 minutes to go by, I timed it. I used to use the trains to help me do dyno runs. 12 minutes gave me time for a warm-up and two full-on runs and a warm-down. I used to know I could get that done and the cops wouldn’t be able to get to my place before I finished. I got away with that for ages until, one day, a cop pulled into my driveway just as I was finishing. I turned the bike off and went down the driveway to meet him. 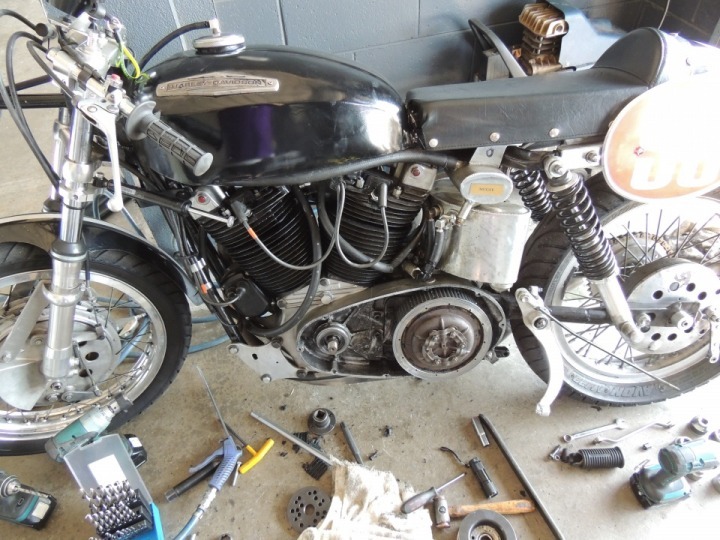 ‘We’ve had another noise complaint from neighbours that someone is racing a bike around the neighbourhood, do you know anything about it, sir?’ Hell, no, I replied, I don’t ride bikes, I just work on them.” That’s the way they do things in Texas! Loading Ralphie’s battered bike into the crate. There are some things about the Island Classic that remain constants. The presence, each year, of Sydney’s John Imrie, is one of them. This year was my 8th IC and every year it’s been a pleasure to see John out there and racing his fleet of 4 ancient Bultaco singles. Often we meet at the Holbrook Bakery along the way, a tradition of John’s that stretches back many years. Why is this so notable? Well, you see, John admits to being in his mid-80’s (83 according to his mechanic and helper) and is still racing, and racing competitively in his class. Amazing. In the run-up to the IC much was made of the 2019 regulations banning the use of Avgas. 100 octane unleaded was the new regulation. It was even suggested by some know-nothings that the ban on avgas was the reason Team GB stayed away. Of course, that was just nonsense and a ploy by some to try and force MA’s hand into not enforcing the ban. Enforce it they did and the default replacement fuel became VP100. Now it wasn’t mandated but most chose to use it because it already had the runs on the board in overseas competition. And the results? Outstanding. 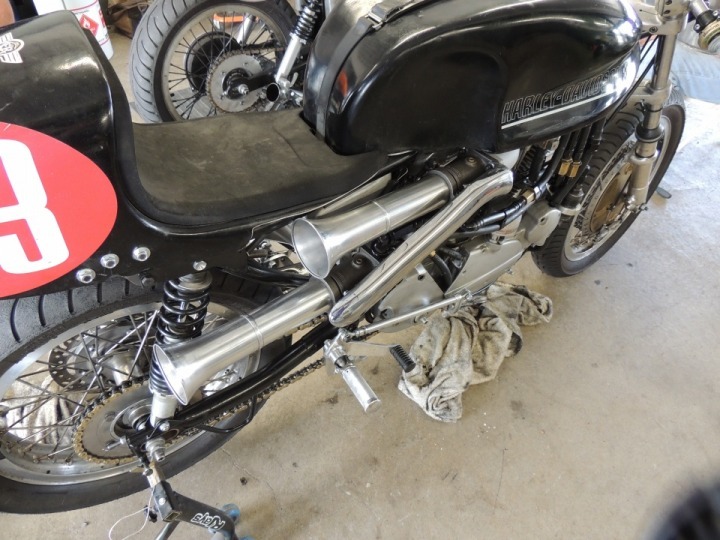 Not only did the bikes appear to run cleaner on the new fuel, horsepower outputs seemed to be up and the excessive heat on Thursday and Friday appeared to have no detrimental effect on these highly-tuned air cooled engines. 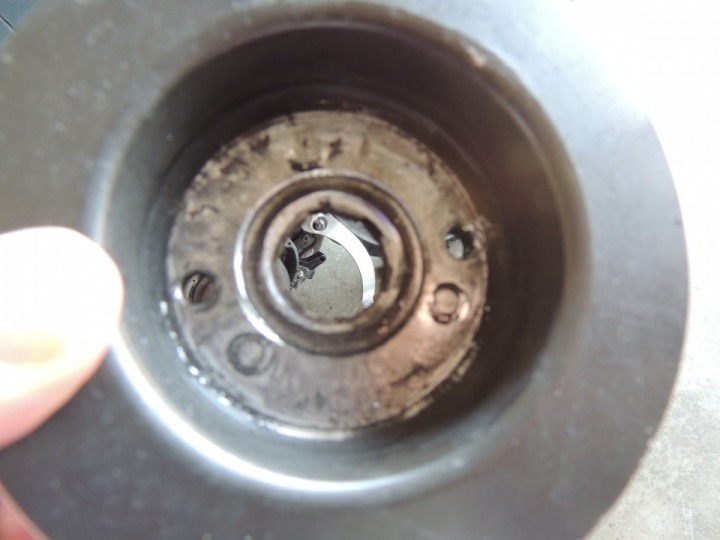 Interestingly, and I have no idea if the two were connected, but the propensity of the big Suzuki engines especially to leak oil at high revs appeared to have disappeared as well with no on-track oil incidents and no reports of detonated GSX1100 engines. VP100 passed the critical test with flying colours. 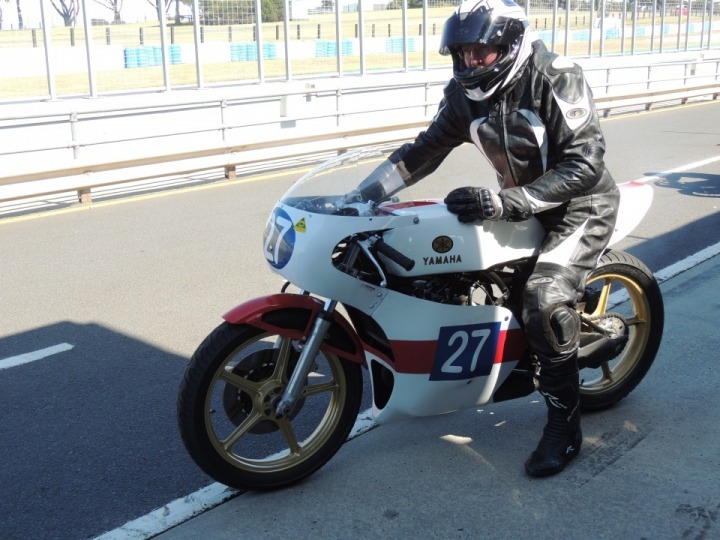 Victorian racer, Craig Hemsworth, has been an acquaintance since back in the Hume Weir days when he raced a TZ. These days the father of Chris and Liam still races but at a slightly more sedate pace. He pedals two very highly-developed Harley Davidsons and does so with great effect. 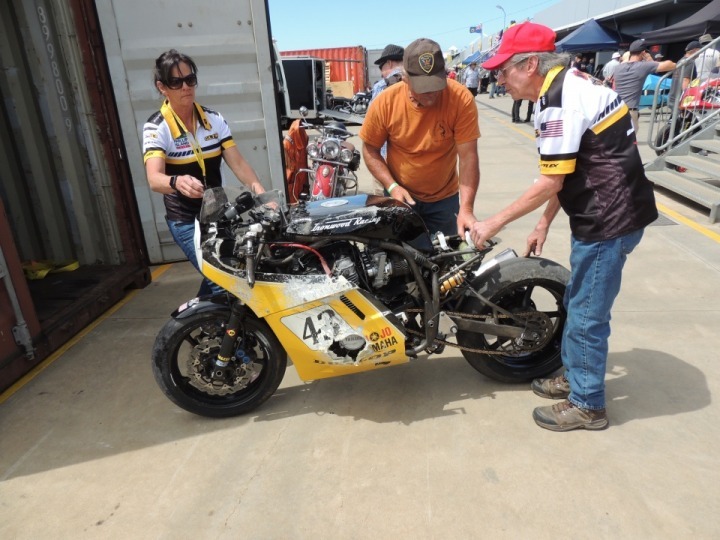 There were a few mechanical “glitches” this year with the primary drive hub separating during practice, but that was fixed and Craig and his crew had a very enjoyable Island Classic again. 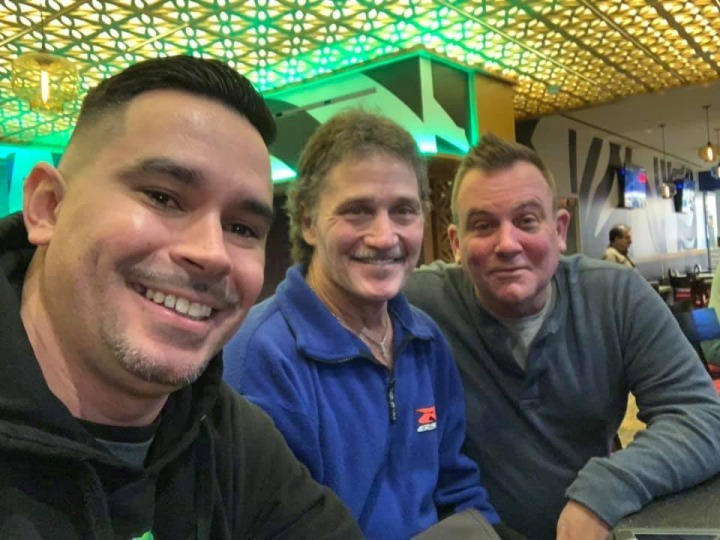 Opportunities to catch up with my old Canberra Road Racing Club buddies from 40 or so years ago are pretty rare these days. Fortunately I still have the Island Classic and it was great to touch base again with Murray Ogilvie and Neil Stuart, both founding members of CRRC. Murray, proprietor of High Country Outfitters at Jindabyne and fly fishing tutor extraordinaire, was back with a much better prepared TZ350 and HE was much better prepared as well. I don’t know how many kilos Muzza has lost since IC2018 but the number is considerable. His leathers are baggy in the extreme and he really need some newer, sleeker ones. Good onya, mate. Sadly, the TZ did a crank on Friday while looking very promising and Murray’s weekend was over. 2020 here we come. Neil again brought his BSA and his hybrid Yamaha TD2/FZR250, a road-going Yammy 4 cylinder 4 stroke motor in a TD Yamaha frame. 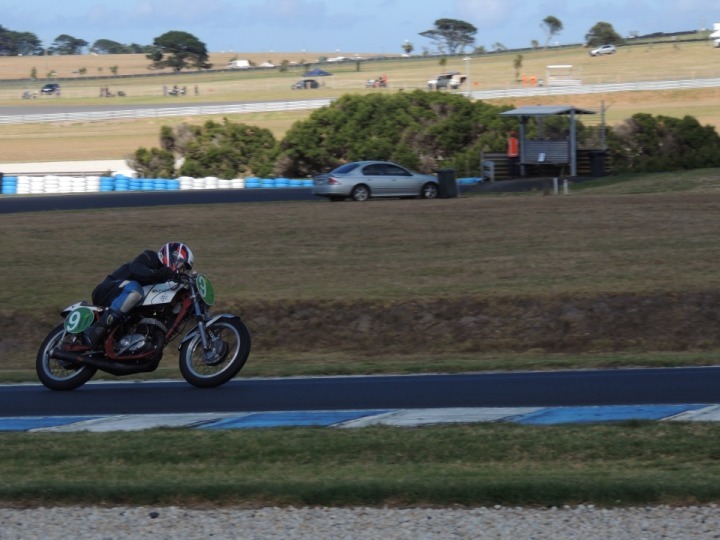 Neil has been trying to get jetting and carburation right the last couple of years but last weekend it ran like a Swiss watch, sounded amazing (18000RPM redline) and brought out lots of smiles every time he topped it out on the straight. But, for me, the most wonderful thing about this mini-CRRC reunion was to see Murray and Neil’s grown-up sons there in the pits with their dads. Murray’s son was on the spanners and Neil’s also but he was also racing in another class as well. Great stuff. Well, that will do for today, tune in tomorrow for more insights and sidelights. Thanks for reading. Another good report, thanks. I look forward to them as you pick up roughly from the time I had my last race and win on the Trease-Harley in 2005 to now, with the emergence of the much later model IC type machines. If I could add that VP100 is significantly different fuel to 100LL avgas. One is a modern race fuel for high revving engines, the other is designed for large capacity, low revving air cooled aero engines, and uses TEL (lead) to achieve the octane rating. So no surprises that riders noticed a difference.